Hi all. I'm having a bit of a melancholy morning. You know how it is - one things goes a bit crappy, and suddenly as if the universe is conspiring against you. ;-) It's just one of those days, tomorrow will be better! 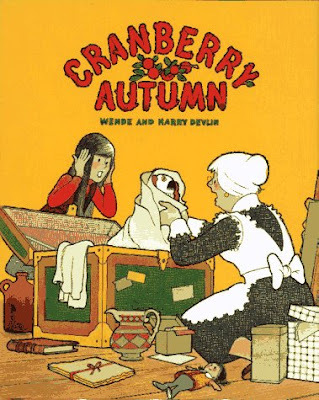 At any rate, I was on Amazon checking my shopping list for any drops in prices on the Kindle books I have my eye on, and I was struck by inspiration for a writing topic today: Cranberry Autumn. Last Saturday I took Anne to our public library. 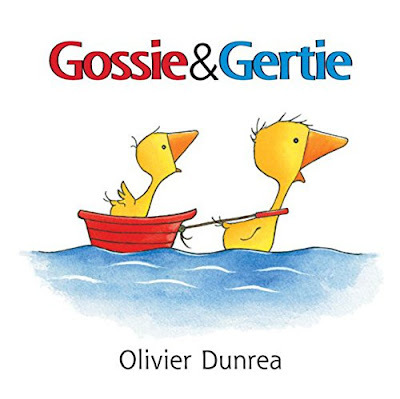 She picked out some books (several of the ADORABLE Gossie & Friends series), and I picked out a few. The children's books are arranged by author last name, so it's difficult to browse unless you know what you're looking for. Cranberry Autumn caught my eye because it was shelved near the beginning of the of the alphabet, and because of the title. I LOVE autumn. It's my very favorite time of the year, so I snapped it off the shelf and added it to our pile. A search of Grandmother's attic turns up a valuable item for Cranberryport's fall antique sale while, at the same time, the wily trickster, Cyrus Grape, threatens to spoil everything, bringing Mr. Whiskers and the rest of the town to the rescue. Not all of the books are still in print, but you CAN procure them through Amazon's Marketplace. The more popular installments are indeed available new, such as the Christmas and Halloween volumes. I put those on Anne's wish list, but we're heading back to the library this weekend to see what else our branch has in their collection, and we're nerdily excited. Do YOU have any favorite children's books, dear reader? Either from your own childhood, or one that you read currently to the children in your life? I would love to add some titles to our library list! Popular in my family when I was a child were Mike Mulligan and his steam shovel (which my brothers and I loved but my Dad didn't like to read at bed time because it was so long), Don't Forget the Oatmeal (featuring Bert and Ernie) and The Monster at the End of the Book (featuring Grover). At the library recently fun children's books I've seen include, Do Not Open This Book and The Book with No Pictures. I'm working at the public library today so if I come across any more fun kids books, I'll leave another comment. Tiffany, You're welcome. Yay for twinning moments! 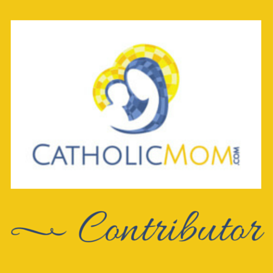 You should certainly check out Do Not Open This Book by Michaela Muntean. It reminds me of The Monster at the End of This Book. Here are a few more titles I came across at work this morning that I like and I think you might be interested in: How Big is the World by Britta Teckentrup about a young mole who travels the world to find out how big it is but comes home when he misses his family. The Day the Crayons Quit and The Day the Crayons Came Home by Drew Daywalt. I find his personification of the crayons and their thoughts and feelings to be imaginative and entertaining. My kids are more into super heroes. The four year old will have me read the Lego Batman ones over and over again. He's practically memorized one book. The oldest likes Captain Underpants, and his current favorite we spotted on the shelve is called Hilo. It's a story about a robot from another dimension. It's a graphic novel. HB has a thing for robots and aliens (to some extent). They like a lot of action in their reading, but I try and pick some tame or outlandishly funny things for them to read. Anything by Peter McCarty--Henry in Love, Hondo & Fabian, Chloe--just love the simplicity of the stories and the fantastic illustrations. For funny illustrations there's the Dinosaur Vs. series by Bob Shea. You also can't go wrong with Mo Willems--the Pigeon books, Elephant & Piggie (such good friends). O.K., I'll stop now before I go overboard! Hi Delta! Your boys sound very much like my Henry. :) I HATE Captain Underpants by the way, LOL! But kids love them, for sure. And Lego Batman, Anne likes that too! Indeed, she has many of her books memorized from how many times she has requested they be read to her. I remember doing the same thing as a little girl, it's the beginning phases of learning to read, so sweet. Kate, I love this, thank you! I'm compiling a fantastic list. :) I too love books with a simple message and evocative illustrations. Children's books can be so powerful, even for adults! Maggi, so nice to see you here, thank you for commenting! And GIRL, you just sparked my memory of Tomie de Paolo! *high five! * We own a copy of "The Legend of the Poinsettia," and Henry brought home "The Art Lesson" from his school library in the past. ooooooo, there's a Guadalupe book?! I am on this like white on rice, thank you SO MUCH!! Hey, Tiffany! One of our recent favorite children's books is "Little Pea". My oldest daughter checked it out from the library, and we thought it was a very cute and funny. Hope you're having a nice summer! Hi Cindy, thanks so much! I'm adding it to the list! Maggi, I am in heaven. :0 New shopping list/library list for the kids created! Perfect for upcoming feast of St. Nicholas and Christmas!